Am I being paranoid? Maybe. Am I overestimating the hard work that goes into running an open source project? Most likely. Was I kicked off my ZogSports team because I “make sports less fun for everyone involved”? Yes. I decided to document my experiences in auditing my projects’ dependencies, and I hope you find the following information useful. Imagine if the apple you were eating for breakfast had 291 ingredients, or if the car you drove to work had 291 parts. You’d be worried, wouldn’t you? Yet, for some reason, we’re totally fine installing 291 individual modules just to power an enterprise-grade web server capable of handling thousands of incoming requests per second. So, what’s in these dependencies anyway? Many are self-explanatory: “range-parser” parses ranges, “escape-html” escapes html, and “negotiator” makes great deals. However, one dependency — “yummy” — caught my attention. Interesting. Besides the normal “index.js” and “package.json,” we find a suspicious “like-tweet.js.” I decided to take a closer look. Hold on a second. “like-tweet.js,” which runs whenever your application loads up the popular express library, makes a POST request to the twitter API. Why? I went ahead and loaded up this route myself. Sure enough, it’s a tweet from Hot Pockets, and I had already favorited it. In fact, every time you download express, you favorite this exact tweet from Hot Pockets: introducing their new signature hickory ham sandwich pastries filled with real ham, real cheese, and a variety of chef-inspired sauces. What sort of monster brokered an advertising deal like this? I pass sensitive customer data through express, and they go ahead and sell my Twitter favorites to Hot Pockets? Needless to say, I likely won’t be using express again. “brittanica” — a module using up 93 KB (or 93 percent) of Glimmer’s code size, must be doing all the heavy lifting. It itself consists of many dependencies — each one a module also named “brittanica,” suffixed with a letter of the English alphabet (26 in total). A total 17,648 lines describing various words and phrases that begin with the letter G. What on earth could possibly need these? Well, you’re in for quite the surprise. 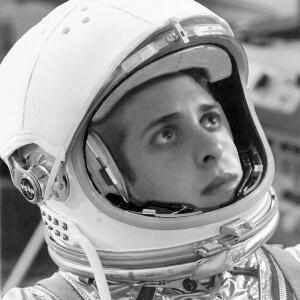 Meet glimmer/help.js. 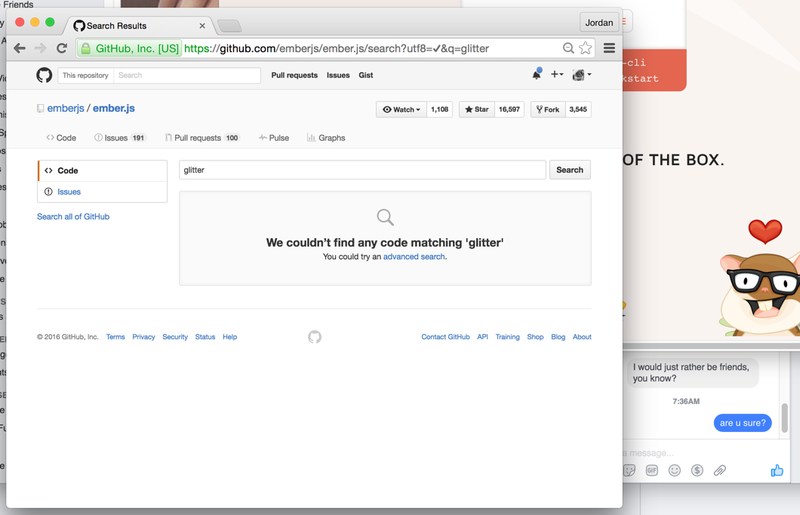 Ember prides itself on using Glimmer: a small, lightning-fast rendering library. Glimmer brings in the entirety of Encyclopedia Brittanica, just to display the definition for the word “glimmer” in its help menu. Our oceans are dying at an alarming rate, and we’re all too busy staring at our phones playing Pokémon to have a conversation about it. Though loved by many, Babel has had its fair share of critics. Many complain about its confusing plugin system, overly complicated config files, and unclear error messages. Curiously, not many seem to notice the incredible amount of dependencies Babel requires. Until now. A whopping 90 dependencies totaling 17 megabytes. Let that soak in. So I started wondering, what on earth is causing Babel’s code to be so large? One of the biggest offenders, a package called “babel-core” was suspiciously large, coming in at 13 megabytes on its own. I opened up babel-core in vim, then turned off my computer because Ctrl-C wasn’t exiting, then opened babel-core in Sublime Text 2. About two hours later, I successfully found the referenced “/lib/api/node.js” and discovered the crux of the issue. A coding slip-up so unforgivable that I nearly threw out my MacBook and swore off web development forever. It’s true. 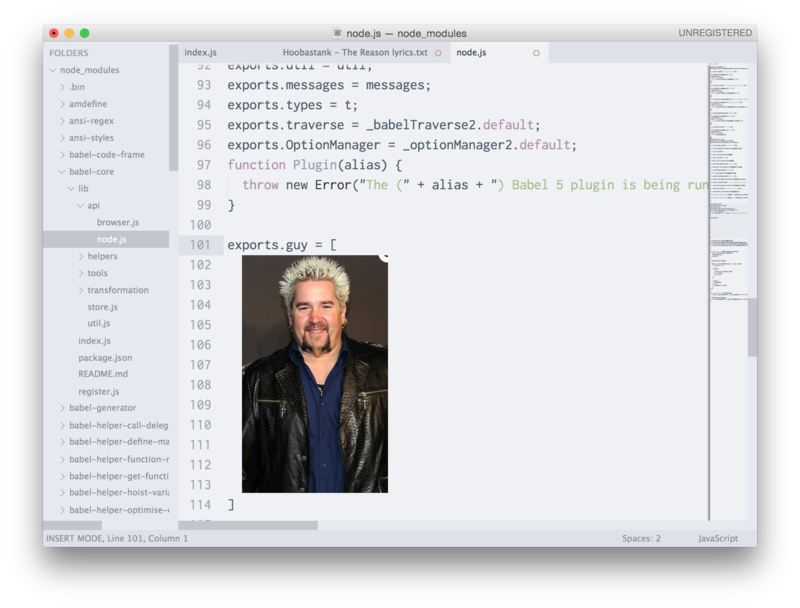 Each installation of Babel includes a picture of Guy Fieri, and there is nothing you can do about it. I have no idea if this picture was supposed to be stripped out before pushing to npm, or how this mistake passed code review. Either way, it’s there, and it’s taking up precious space on millions and millions of 15-inch Retina MacBook Pro hard drives across the world. To be clear, I don’t think that extra dependencies are a sign of the end of the world. I just think it’s important that we as a community start to value the work of maintaining and cleaning up code as much as we value cool features and great project logos. We can do better. Dead code takes up space, eats up bandwidth, and can even kill your startup. I encourage you to take a look inside your node_modules/ directory next time you have a couple of free hours and a computer with at least 16 gigabytes of RAM. The results may just surprise you.